The latest controversy somewhat related to the Tiverton Glen project — substantial enough to fill the town hall for a Wednesday morning meeting of the Tiverton Board of Canvassers — is the residency of Jonathan Cottrell, a member of the Comprehensive Plan Advisory Committee, who is now applying for appointment to the Planning Board. Some in town have been challenging whether Cottrell is legitimately an elector, or voter, because they say he does not actually live in Tiverton. He, his wife, and his two adult children have been registered to vote for years with their address as 35 Main Road, and that number is the commercial building of his remodeling company, Cottrell Bros. The Cottrells also own property in Swansea, Massachusetts, and his detractors claim that the family actually lives there, in a large, historic house much nicer than the Tiverton property. 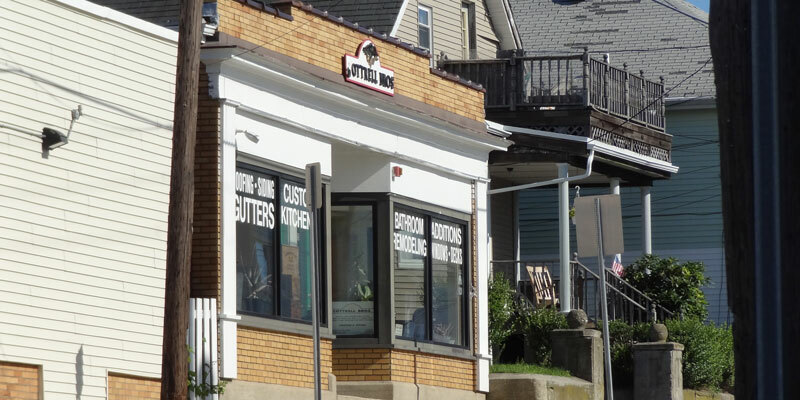 Indeed, one of the Cottrells’s North Tiverton neighbors has filed a certified letter stating that they are not often present in the residential building that shares a lot with Cottrell Bros. The same law provides multiple forms of identification that must “be considered prima facie evidence of a person’s residence for voting purposes.” That means possession of the document proves residency and requires no further investigation unless somebody else brings forward evidence that it is not true. Among these examples of prima facie evidence are a driver’s license, car registration, the latest state or federal tax return, and other documents, such as financial statements, bills, and financial statements. The technical question, here, would be whether a person ceases to be an elector when placed on the challenge list or when that becomes part of the final registry. One could reasonably conclude that it would typically be the case that the Board of Canvassers generally maintains a running list of eligible voters used for town purposes. No registration shall be cancelled or a voter’s right to vote be otherwise limited based upon a finding that the voter no longer resides within the city or town unless the voter has confirmed either in person or in writing that the voter no longer resides within the city or town or the board has received written evidence that the voter has registered to vote within another city or town or in another state. In other words, for the purposes of voting — of being an elector — the proof of having established another domicile is either a statement from the person that he no longer considers the town to be his primary home or if he registers to vote in another city or town. It is important to note that, although documents like drivers’ licenses and tax returns are proof of residency for voting purposes, they all have different rules for whether a person is a resident. The regulations of the Department of Motor Vehicles are not detailed, on this count. Tax law, on the other hand, is more explicit, and it is there that the 184-days rule appears. For the purposes of income taxes, a person is a “resident” if he “is domiciled in this state” or is domiciled in another state “but maintains a permanent place of abode,” here, and is present in the state for more than half of the year. It doesn’t make a difference what a person does in the state, just that he is present for part of a 24-hour day. It is theoretically possible for a person to be a full-time resident of two states for the purposes of taxation, but for the purposes of voting, he must pick one or the other, and registering to vote in Swansea would prove that Cottrell considered that to be his “domicile” and invalidate his Tiverton voter registration. Once he became a valid registered voter in Tiverton, however, the law does not appear to require him even to maintain full-time residency; it requires him not to pick another place as the place that he considers to be his home to the extent that he wants to participate in the governance of that town. Think of a young adult who grew up in Tiverton. She registers to vote and then goes off to college. After college, maybe she stays a summer with her parents and then starts a job in Boston. As she settles her new life in Massachusetts, she remains a Tiverton voter, even if she may have to file full-year tax returns in the Bay State. It is when she makes the decision that Massachusetts is now her home and registers to vote there that she ceases to be an elector of the Town of Tiverton. The same would be true of an older adult whose life straddles the state border. Unfortunately for Jonathan Cottrell, he’s made political enemies in town, and the circumstances of his residence are unique in just about every respect. On February 10, 2014, appearing voluntarily before the Town Council on the issue of his status as an elector, Cottrell stated that he moved to Tiverton in the 1970s. 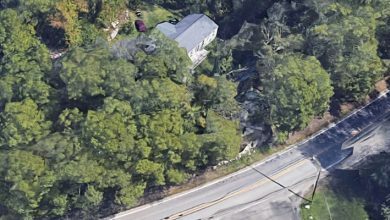 Over the years, he said, he had several homes, the most recent of which was among a cluster of properties that he owns on both sides of Main Road in North Tiverton between Chase Ave. and State Ave. His specific address is the first unique circumstance. The property card for the lot on which he is registered to vote, and which he purchased in 1999, is technically listed as 29-37 Main Rd. That is also the specific address listed on the town’s tax rolls. Cottrell has explained multiple times that the property is mixed use, but unlike some of the other mixed use lots in North Tiverton, it isn’t a commercial building with residential apartments above it, but two separate structures. For “convenience,” he says, he uses the number 35 as the mailing address. The two-family house on the lot appears on maps as number 29, but there is no number on the house itself, and Tiverton Fact Check could find no evidence — online or through voter registration — of its being used as an independent address. 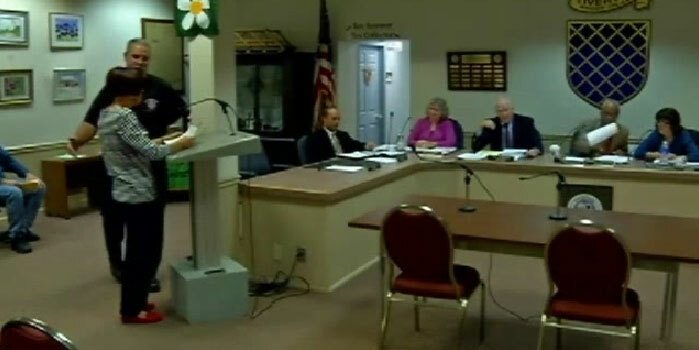 At the February 2014 Town Council meeting, Cottrell presented copies of his driver’s license, state and local tax returns, and other documents showing 35 Main Rd. as his official address, or his domicile. Cottrell appeared before the Town Council last Monday, August 27, 2015, in order to be interviewed for a position on the Planning Board, and spoke about the matter again. The audio makes the video difficult to follow, but Cottrell does not appear to have stated clearly what his living situation is, on the property. Complicating matters, he also owns houses in Swansea, Massachusetts, which many would see as more desirable homes for a man of Cottrell’s means. Both houses are near the water, on Gardners Neck Road. One appears to be leased and list’s Cottrell as the owner using his Tiverton address; it was purchased in 2003. The other is an historic house zoned as multi-family, and Cottrell has said it’s a bed and breakfast. This property lists itself as Cottrell’s mailing address and was purchased in 2000. A search of Massachusetts voter registrations brings up no evidence that anybody in Jonathan Cottrell’s immediate family has registered to vote in Swansea. In early 2014, Cottrell’s detractors brought forward an article from a Massachusetts newspaper in which he commented on a local issue in Fairhaven, and the reporter described him as a Swansea resident. The detractors are now passing around documentation for a non-profit museum that lists Cottrell as a trustee, with the Swansea house as his address. They are also directing attention to a Fall River Herald article from April 2009 noting Cottrell’s daughter’s being named to the honor list at a Massachusetts boarding school and stating that her parents were from Swansea. Around that same time, Jonathan’s daughter registered to vote in Tiverton, although she didn’t actually vote in a state-level election until 2012. Those attempting to prove that Cottrell is not eligible to vote in Tiverton are also naming two people whom they say live in the apartments at the Main Road property. Late Wednesday afternoon, Fact Check spoke with a young man outside the property whose name was not one of those claimed by the detractors. He stated that he works for Cottrell Bros. and is staying on the first floor after a house fire in his home in New Bedford. The second floor, he said, is rented, and Jonathan stays on the first floor “two or three” nights per week. He did not clarify how that might have differed from the use of the apartment before he started staying there. Whatever the case has been, though, it appears that the Cottrells put the historic house in Swansea on the market for sale, last month. In January, Tiverton’s Zoning Board denied his request to add apartments above the commercial building in North Tiverton, which shows that he’s been planning to make changes and which might have given him reason to change long-term plans. 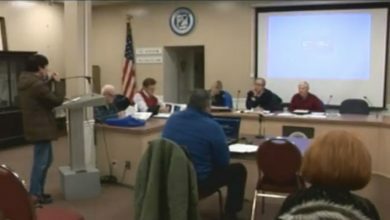 With a son entering his mid-30s and a daughter of the age at which young adults finish college and begin building careers, Mr. and Mrs. Cottrell may be transitioning to a new phase of their lives, and his application to join the Planning Board does not indicate a decision to transition away from Tiverton. Although Cottrell’s status as an elector of the Town of Tiverton is wrapped up with technical questions of law, it ultimately comes down to rights and philosophy. Under the law, it would appear that he would remain eligible to vote in Tiverton even if he never or rarely spent the night at the apartment at 29-37 Main Road. With regard to taxes, unless he actively avoids the State of Massachusetts for 184 days of the year, he may have to file his taxes in both states as a full-time resident. However, if this has not been his practice, the burden would be on whichever state he claims as part-time to prove that he has crossed that line in previous years. If anything, though, that’s an issue for the Massachusetts Department of Revenue. Nobody disputes that Cottrell is physically present in Tiverton enough days of the year to count as a full-year resident for tax purposes, and nobody disputes that he owns multiple residential properties, here. He has repeatedly stated that he considers his North Tiverton property to be his domicile, and as somebody who has voted in every biennial election for years and who volunteers for town boards, he’s within a relatively small group of voters who actively participate at that level — that is, who treat Tiverton as their home to the extent of participating in its governance. There is no question that Cottrell’s living situation is unique — from his residence on a multi-use property to his ownership of a multi-family home a short hop over the border and even to his having the wealth in order to afford boarding school for his daughter. The Board of Canvassers will be holding a hearing in September and will hear testimony from, among others, authorities in Swansea as to whether Cottrell is a registered voter, there. Based on the above reading of the law, the “yes” or “no” to that question should settle matters, although the people who conduct town and state matters have a history of coming to conclusions that conflict with a plain reading of the law. Philosophically, though, a free society should not discourage unique living arrangements, and citizens of a free society should not have to submit their ever-changing life decisions to government agencies to determine which location they are permitted to count as their homes. Similarly, participating in local government shouldn’t be a game of political Twister, in which people whose lives are more complicated than most feel compelled to silence themselves for fear that a finger might move a little off one of the colored circles of the law. Once a home — a domicile — is established, there should be clear lines that indicate when it has been lost. For the case of voting and being considered eligible to participate in local government, that clear line is registering to vote elsewhere. When it comes to the place that a person considers to be his home, his feelings and his intentions are central. In order to prove that they are not really as he says they are requires invasions of privacy that no citizen should have the right to impose on another. Anybody who disagrees with Cottrell on particular issues of local concern should oppose his appointment to the Planning Board on those grounds, not by attempting to disenfranchise him because of his unique circumstances.